Iron rails 1st and 2nd floors. MLS#2246025. 3789. Close to new shopping, new 540 w/quick access. Golf and parks nearby! MLS#2246027. 1320. Visit Buckhorn Preserve and learn more about this new community. MLS#2246049. 3789. Furniture and accessories do not convey. MLS#2246026. 1565. Furniture and accessories do not convey. MLS#2246030. 1565. Brittany Trace - Enjoy the deck, with its covered and open areas, large enough for a table and chairs, and lounge chairs too! MLS#2245884. 1320. 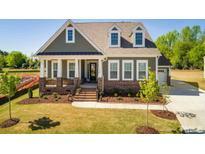 Kelly Glen - This home has 3 bedrooms, 3 baths with an open porch and is located in the Wake County School District. MLS#2245714. 3359. Fantastic outdoor living spaces: Large screened porch, deck w/pergola, sunken hot tub, stone patio w/stone fireplace! 3 car side-entry garage! MLS#2245573. 4632. Crocketts Ridge - Upgraded features include a new HVAC and fresh interior paint throughout. MLS#2245571. 4823. Creekside Commons - Hop on to Highway 540, 55 and 64 for Jordan lake + new Chatham Park gateway, RTP + Raleigh Durham. MLS#2245600. 549. Amherst - Key location, minutes to Cary, Garner, FV, Raleigh MLS#2245612. 986. Green Level - For comp purposes only. MLS#2245462. 810. Village Of Wynchester - New LED Lighting, Extended Family Room now with upgraded gas log Fireplace, Custom Interior Trim & Picture Moldings, Remodeled Baths include Carrara & Asian Marble tops & vanities, Master Bath has heated floors & Zero entry shower. Det Garage w/fin bonus MLS#2245440. 5189. Don't miss out on this one! MLS#2245452. 2731. Community offers pool, tennis courts, & walking trails. MLS#2245535. 2638. DISCLAIMER: Prices, plans, and specifications are subject to change without prior notice or obligation. MLS#2245443. 639. Churchill Estates - Large,fenced lot, 3 car gar! MLS#2245316. 1618. Whitehall Manor - Close to downtown Apex & Beaver Creek. MLS#2245182. 1502. 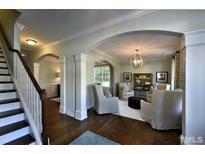 Merion - The grandeur of the home is unmatched for location+price. MLS#2245210. 1710. Spacious screened porch, 2 car garage, walk to American Tobacco Trail, & convenient to 64/540/Kelly Rd and Downtown Apex. MLS#2245365. 3807. The Park At West Lake - Screened porch, flagstone patio, built-in grills, outdoor wood-burning Fireplace & fenced yard! Walk to great schools! MLS#2244472. 1710. Incredible screened porch w/ views of .29 acre fenced & wooded yard. MLS#2244937. 4767. Bella Casa - A walk up 3rd floor unfinished /w a rough-in for a bathroom (Sealed Crawl Space) MLS#2245391. 4863. The Villages Of Apex - The fenced yard is beautifully accented by patio and woodburning Fireplace w/gas starter offering the best of both worlds- Community and privacy! MLS#2244624. 3096. Two of Apex's premier parks within 3 miles. Shopping within 2 miles MLS#2245168. 2989.